Join us on Friday, Aug 18th Veterans Family Farm Day – 10am-1pm at Carlisle Academy. We are welcoming all veterans and their families to the farm for a fun family day. 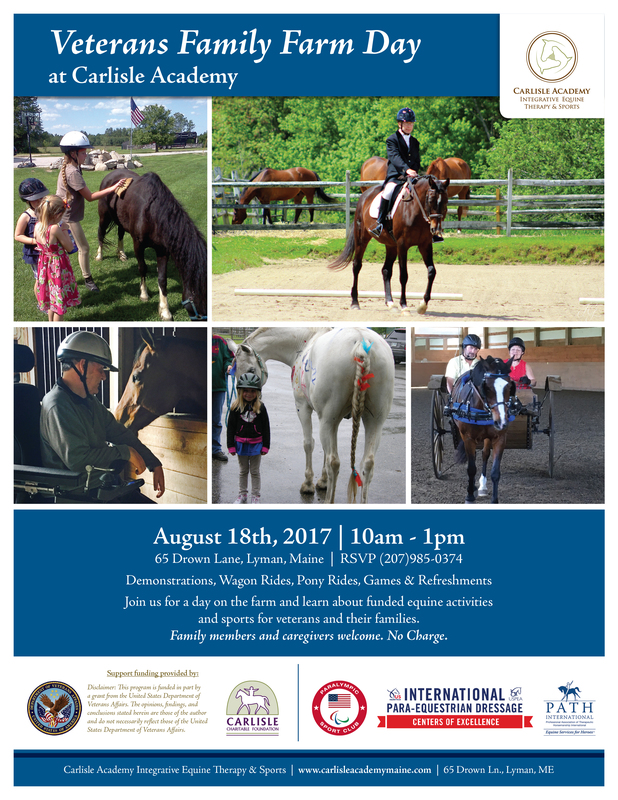 While here we will share information on the various equine therapy and sport offerings Carlisle Academy supports through local programs and nationally-funded VA adaptive sport initiatives. Please spread the word – invite your friends and family. You can RSVP at 207-985-0374 or by email.